England unvieled their new home kit at the weekend before the friendly against Slovakia and it’s fair to say that it seems to have split opinion across the football world. Some suggest the retro design is a breath of fresh air while others seem to be saying that £50 for a plain polo shirt just isn’t on. 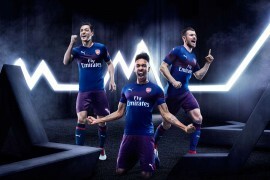 However, just about everyone agrees on one thing – the new kit is certainly different from the norm. But what, we wondered, was Umbro’s thinking behind the re-design? Who better to ask than Umbro themselves in an exclusive Footy Boots Question and Answer session. 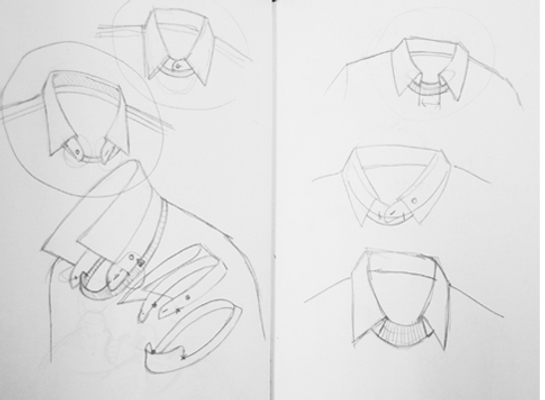 FB: What was the biggest driving force behind the radical change in the shirts design? 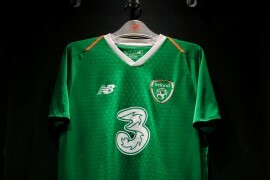 U: It was Umbro’s view that there was a requirement to make radical change to the development of a new England kit. Both Tim Parkinson, Head of Umbro’s Global Brand and David Blanch, Senior Designer for Umbro took note that historically Umbro had always labelled its products ‘Tailored by Umbro in England‘. 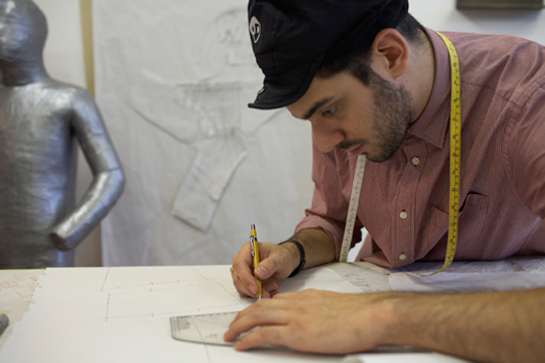 Taking that on board David had previously met both Aitor Throup and Charlie Allen at the London College of Fashion, where Umbro ran a course, and had always wished to work with them. The time being right, they embarked on turning the manufacture of a football kit on its head. Their other criteria was to ‘meet the needs of the modern player’. FB: Did you intentionally create something that was very different to current day shirts? U: Yes, very much so. We challenged the merits of a design and thought process that we had used in the past. It was really just saying: if we rethink it, this can be a significant point in time, a watershed for the Umbro brand and the FA and this can help change people’s view of both. FB: How does a collar on the shirt assist the players? U: In this case its about comfort and style. When producing shirts of this nature we decided that by using the techniques that are used for regular shirt production (a two part production), with two pieces of material a more rigid, smart and technically good looking collar is acheived. FB: What was the main feedback from the England team when they saw it? U: The feedback was terrific. For example John Terry was very impressed with the science and fit, David James found the kit very giving and comfortable and Joe Cole was most impressed by being measured up for a bespoke kit! All the players were measured individually by Charlie Allen a high quality Saville Row tailor, used to providing suites for around £5000 a pop. FB: Which player was most impressed? U: None in particular, it seems that they all enjoyed the experience. FB: Did Fabio Capello change any design plans in the shirt when he was consulted? U: Capello was involved in this project right from the off. He worked with the team through the various stages of incarnation. His views were heard and taken on board. He likes to be involved in all England business. FB: The shirt looks like it is styled so that it can be worn as a leisure item (with jeans), was that part of your thinking? U: Fashion was certainly a consideration, but so was a superior quality, tasteful looking product that will be worn comfortably with incredible pride. 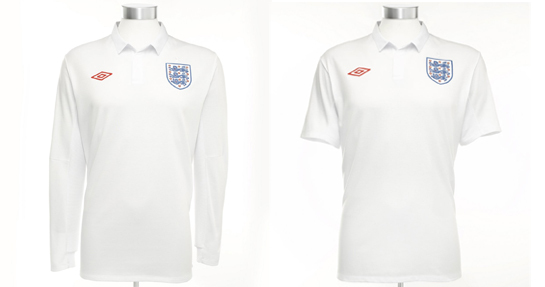 FB: Will future shirt releases for England follow this pattern? U: The future will be benchmarked from this. FB: How do you see shirts looking in 10/20 years from now? U: There will be more sports science together with traditional tailoring. FB: What’s the significance of reducing the impact of the star that denoted a World Cup win? U: It has just been styled and blended into the background of the shirt. This was a design thing. 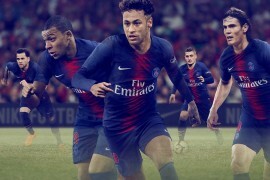 FB: Has Nike had any influence in the development of this shirt? The new England shirt is available priced at £50, order yours now. Next articleNEW POST FOR KINNEAR? Interesting stuff – It’s always a massive point of interest for me, getting an insight into the design process. I’ve got to say he comes off a tiny bit arrogant towards the end of the interview, shorter answers etc. but c’est la vie. It certainly has caused some serious debate. 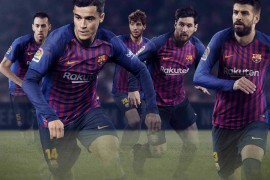 Having seen it in picture form and then on the players themselves, I think I’m warming to it. Ăâ€šĂ‚ÂŁ50 for a shirt though might be a sticking point. I’d like to say the 2009/11 shirt is c**p! How do they expect people to pay 50 pounds for a white polo shirt! The only difference is it’s a got an umbro and england badge! They just expected England fans to buy anything! I like the picture of the guy pretending to be drawing! Is there any design on the shirt at all…even I could have designed it! i have a feeling the jersey is more about how it fits on the body than having crazy colors going on or patterns or a different colored left sleeve or curved shapes or whatever. personally, i like how stripped down and understated it is. id rather have a plain polo shirt thats quality material and fits extremely well than an over the top jersey with too much going on. but then again i have yet to try it on, so who knows how the fit and tailoring is….that just seems to be the focus of the shirt from watching those videos. anywho its obvious people are going to be divided about this, some will find its minimalism dull and boring, others will find it classy. i think im leaning towards the later. i agree with matt, because i can design that shirt, and the fitting for eache player, im sure dont apply to us, the principal buyers. haha what is that guy designing in the picture its just an england badge and umbro logo. how does having a collar help the fit of the shirt? the sizes are in chest size around, not in s, m, l, xl etc. and that guy is probably working on the tailoring. im sure anyone could put a badge and logo on a shirt, but thats different than creating dimensions and proportions for a shirt. i dont think people are understanding the difference between a jersey designer who uses shapes/lines/colors/gradients/visual elements like logos badges/etc. and a tailor who makes sure the clothing fits the human body perfectly. 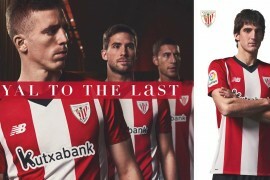 like i said, havnt worn the shirt, but they seem to be putting a heavy emphasis on the shirts tailoring by downplaying than the visual design. 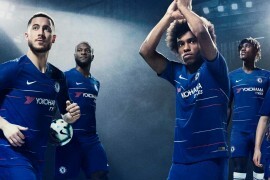 personally, i really like this jersey, its something i wouldnt feel ridiculous wearing out to a club or bar. i like the fact that its a jersey that dosnt look like a jersey. im sure you guys want racing stripes and red crosses and tons of little logos running up the sides and ENGLAND in giant bold lettering across the sleeves with halographic fifa stamps and one red colored sleeve, but sometimes way less is way more. your not the man in the picture pretending to work are you ill d.
who wears an england shirt to a club? i would personally feel like a nob. a football shirt is for football. thats me actually! im working quite hard cant you tell? i have the tape draped over my shoulders and everything. oh and i agree, the rugby kit looks good, but it looks “made to fit” because of its stretchy material. theres a difference between that and tailoring. 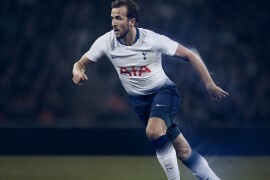 i could be totally wrong, but watching all those umbro videos makes me think the emphasis is being placed on tailoring, while that rugby kit is emphasizing the visual design. and lol, im not going to clubs in football jerseys. what im saying is, if, theoretically, you had NO clean clothes for a date EXCEPT for that england football shirt, you wouldn’t look like an idiot, whereas if you were wearing that rugby kit you would be sticking out like a sore thumb. A commenter on my blog asked the simple question, Why is it so expensive? To be honest I dont have a clue, anyone else care to take a guess? tailoring. at least, that seems to be the main factor umbro is getting behind for branding and whatnot. like i said previously, i havnt tried it on, but it seems like they trying to say their shirt is more anatomical and better fitting on the human body because of the tailoring involved. one thing i noticed, is that they arnt in traditional small, medium, large, xl, but in chest size (i wear a 46), so there is sort of like a smallsmall, mediumsmall, medium, mediumlarge, etc. i ordered one anyway cuz i got a raise at work and really liked the simplicity of the jersey and like the england team, and thought “what the hell!”…ill post back once i get it and comment on the fit. if it feels like any other jersey and not some perfect fitting shirt i will definitely say so.